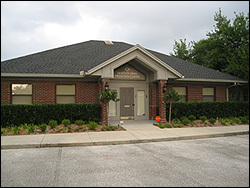 North Florida Mediation Center is a full service Alternative Dispute Resolution Facility located just minutes from downtown Jacksonville, Florida. The center opened in July 2008 and was created by Brett Q. Lucas, Esquire and G. Michael Burnett, Esquire, two of North Florida's most experienced and highly respected mediators. The center is a 3,300 square feet facility with several spacious conference rooms and plenty of smaller break out rooms perfectly suited to accommodate all types of mediations ranging from the simplest to the most complex. 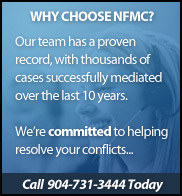 At North Florida Mediation Center, we are committed to providing our clients the highest level of professional services in the most comfortable facility in North Florida. NORTH FLORIDA MEDIATION CENTER, LLC.